Pickled onions is a very popular and loved accompaniment all over India and world. Pickling can be done for many veggies like cauliflower,cucumber and so on.It is done either in oil or vinegar or both.In many parts of world it is done in wine too. 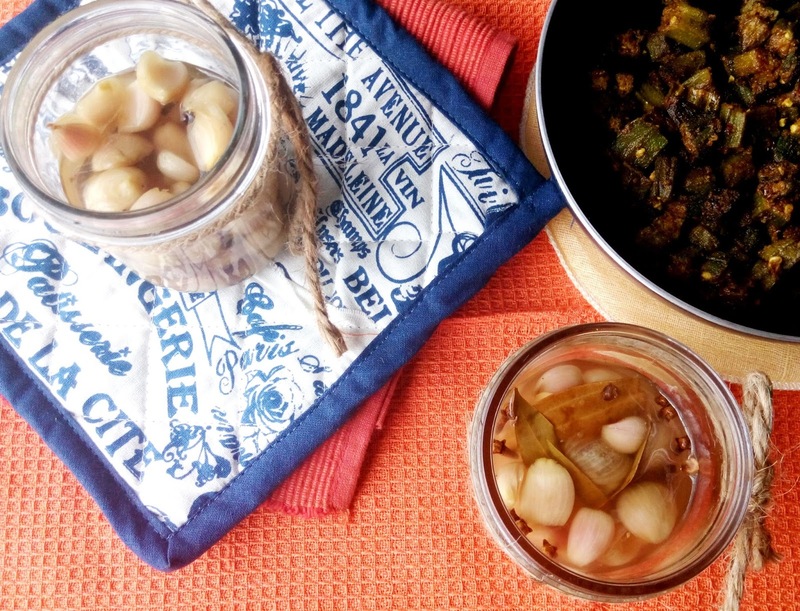 This is a family recipe and is loved so much at my place that I always have a jar of pickled onions ready.It also ends fast so I have to keep preparing it often.But its all so worth it. Prepare it yourself and you will agree with me. Take a pan.Add vinegar to it.Add sugar ,bay leaves,cinnamon stick, green cardamom,red chilli ,cloves to it. Bring it to boil.Let it simmer for two to three minutes on high heat . Let the mixture cool down for some time.Now add this mix in an airtight sterilised jar filled with shallots . 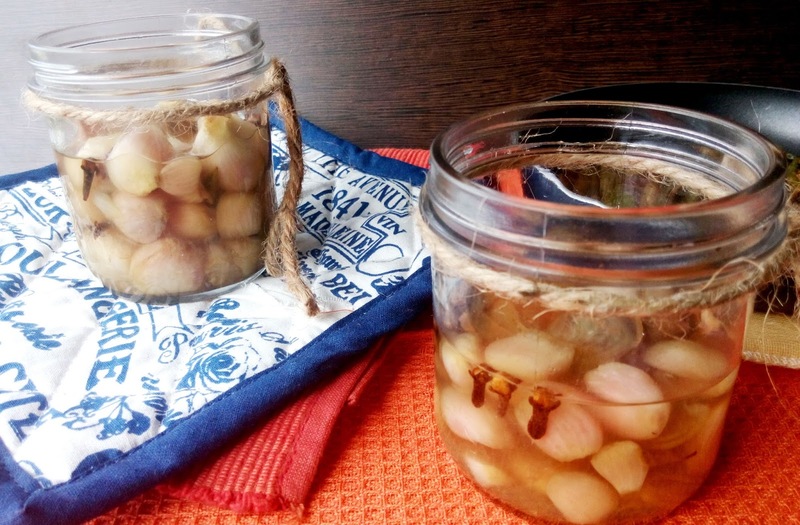 Keep this overnight and enjoy pickled onions.